Getting my dad the perfect gift isn’t easy. He’s the kind of guy who doesn’t want anything from anyone, and doesn’t have many hobbies besides woodworking and watching wrestling and hockey. 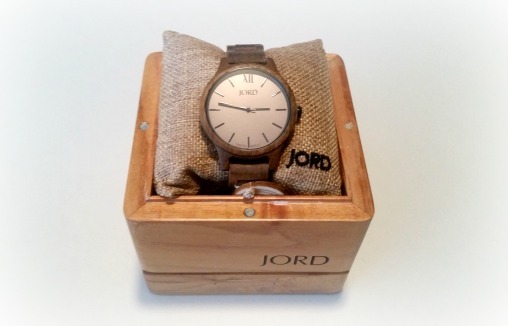 With that in mind, when I came across these wooden watches from JORD I instantly knew it was something my dad would admire for the work it would take to create such a unique piece. The Frankie series Koa and Ash instantly caught my eye. The bronzed wood and simple grey and silver clock have the classic look a watch should have if you’re going to wear one in the day of the smartphone. Wearing a watch today is a symbol of style, not function, so it should look this good. I gave my dad the watch for his birthday and he was absolutely in awe of its construction and beauty. He works in a factory so he is afraid to wear it to work and risk damaging it, but otherwise, it’s his favourite thing to wear. 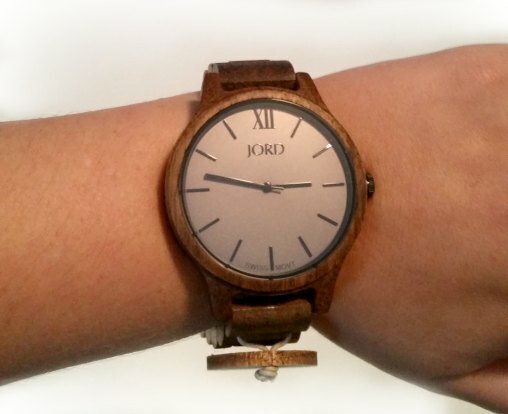 Because it is a watch with a band literally made of wood, ordering the accurate size is important. They offer a measuring system so you can find out what size you need to order. I measured my dad’s wrist but decided to size up just a tiny bit, just in case, and it was unnecessary. The watch arrived too big, but it comes with a tool to help you (or a jeweler) remove a link or two if necessary, so it wasn’t impossible to fix. With that in mind, I do advise ordering the exact size your wrist measures out to instead of sizing up. Since it’s Christmas, you can also make it extra special by engraving both the watch, and the beautiful box it comes in, for an extra fee. The back of the watch is the perfect spot for a favorite quote or phrase you know that person lives by. So there, the next time you think “I have no idea what to buy for this person,” now you have your answer.